All online! Learn from your couch, save on travel and get CE approved credits! Exciting News! 12 hours on-line CE CREDS APPROVED FOR in several States (see below). It’s not just about MTHFR, this course looks at the bigger picture! Methylation, mitochondria and metabolism are three key biochemical systems that work together to regulate cellular health and DNA expression. Autonomic dysfunction will affect these biochemical pathways. This course will cover key foundational aspects of these three systems and how to effectively manage them using diet, lifestyle and neuronutritional protocols in conjunction with chiropractic care and sensory-motor regulation. TWELVE hours of cutting edge, phenomenal learning LIVE and accessible ONLINE! You will learn TONS of life changing information that you can implement on Monday morning!! *NOTE: This course is recorded and accessible for 90 days to listen at your leisure and/or for continual study. After 90 days, the course will be available via the Intersect4Life Learning Academy if you wish to sign up. If you have paid for the course and are an active member of our on-line community, you will be able to access the course for lifetime. You will also have 90 days to access the three days of webinars, after that, you can have lifetime access if you choose to become an Intersect4Life Learning Academy Member. Each CE class is PACKED with information and is accessible from the comfort of a person's home with no travel expense or lost work time. The classes should be considered the same as though a person were taking it in person. In that case, EACH attendee is charged for the class and will only receive CE credits if they pay for the class and pay for the associated CE credits. With that said, we can only grant CE credits to attendees that have registered and paid for any class. We trust that each attendee uses the honor system and holds true to a code of ethics when purchasing each class. $49/mo Learning Academy Access - get 100's of hours of recorded content, professional practice elements for your office, marketing memes to promote you new knowledge and access to our closed Facebook group for networking and collaborating with doctors and practitioners across the United States. (Account details will be emailed to you). Exciting News! 9 hours on-line CE CREDITS APPIED FOR in several States (see below). 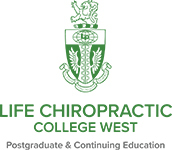 Contact Life West CE at conted@lifewest.edu or 510.780.4508 for information about continuing education: http://www.lifewest.org/. ** Each individual attending or viewing a class must pay for their own registration and CE fees. This includes married couples/partners and other doctors/students/office staff related. Need Help?We’re here to answer any questions you have about Intersect4Life or the classes we offer. Email support at support@intersect4life.com or view your account. Your Intersect4Life purchase is secure. We never share your personal information. An AMAZING opportunity to have Dr. Buerger all to yourself or share amongst others that can benefit from her knowledge. Save time and travel expenses too, she will come to you! Whether you want to host a private seminar with just you and your staff or you wish to invite other collegues to YOUR exclusive event, we have created two incredible opportunities to customize your private event and semi-tailor the weekend to your needs!